These extend from Tipperary across the Limerick border to merge with the Ballyhoura Hills. The highest point is 3018 feet. 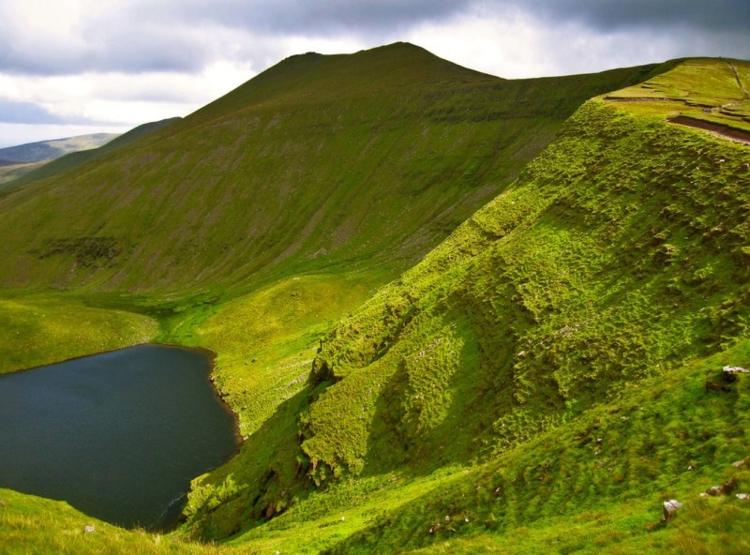 There are several small lakes on the north slopes including Lough Curra and Lough Muskry. O’Loughnans Castle is a rock which is well known. It is not an actual castle! It’s a great place for hill walking. At Ireland and Scotland Luxury Tours we like to visit the fantastic “Mitchelstown Caves” when in the area. They are a massive pre-glacial underworld. The caves were discovered by accident in 1833 when a labourer lost his crowbar down a crevice. The caves are coloured by the minerals washed down through the limestone above. They are decorated with stalagmites and stalactites. It is a real wonderland. Check these hidden gems out on your tours of Ireland.